Family Medicine Residency of Idaho (FMRI) offers excellent clinical training with superb patient volumes in all clinical areas. The vision of our program is to produce outstanding family physician leaders for their communities. The mission of our program is to train outstanding broad spectrum family medicine physicians to work in under-served and rural areas. To serve the vulnerable populations of Idaho with high quality, affordable care provided in a collaborative work environment. We Believe the Heart of Healthcare Education is Service to Others. FMRI has an extremely talented faculty that consists of Family Medicine Physicians, Pediatricians, Obstetricians, Psychologists, Psychiatrists, Social Workers, Physician Assistants, a Nurse Practitioner and Pharm Ds to create the team environment needed to train a family medicine physician. We are also supported by three excellent training medical centers, a committed state legislature, and the backing of the Idaho Medical Association, the Idaho Hospital Association, the Idaho Academy of Family Physicians, and the Ada County Medical Society to ensure superb Family Medicine education. We hope that the information presented here stimulates your interest in our program and that you will want to know more about becoming a part of FMRI. The curriculum is designed to broadly prepare the physician for Family Medicine in a rural or underserved setting. Therefore, it includes a strong emphasis in medicine, obstetrics, pediatrics, emergency medicine, behavioral medicine and surgical procedures and assisting that is not found in many other programs. During their three years the residents have increasing responsibilities in patient care, management of their own continuing education, and participation in the management of the Family Medicine Health Center. They also participate in organized medicine and various committee functions within the hospitals, the communities, the state, and the nation. The Residency strives to help our physicians develop a sustainable medical lifestyle that will provide them with long term satisfaction and deep meaning and inspiration in the practice of Family Medicine. Dr. Epperly is the President and CEO of the Family Medicine Residency of Idaho, a large Federally Qualified Teaching Health Center comprised of six FQHC clinics, three ACGME family medicine residency programs, and four fellowships. He received an undergraduate degree in Biology and Anthropology from Utah State University in 1976. He Graduated from the University of Washington School of Medicine in 1980. Dr. Epperly completed his residency in Family Medicine at Madigan Army Medical Center, Fort Lewis, Washington in 1983. He completed a faculty development fellowship at the University of North Carolina in 1986 and achieved an additional CAQ in Geriatrics. Dr. Epperly retired July 2001 as Colonel after serving 21 years in the United States Army. Dr. Epperly served as the past President and Board Chair of the American Academy of Family Physicians (AAFP). He is a current member of the ACGME Board of Directors that has responsibility of all residency and fellowship training for over 125,000 residents and fellows of all specialties in the United States. He currently serves as the Governor appointed Chairman of the Board for the Idaho Healthcare Coalition that is in charge of helping transform healthcare for the State of Idaho. Dr. Epperly is a member of multiple other Boards of Directors and the President of several non-profit organizations. He has published over 50 articles and book chapters and he is a staunch supporter of Family Medicine education, research, and both rural and underserved health care. His award winning book Fractured: America’s Broken Health Care System and What Must Be Done To Heal It provides excellent insight to the U.S healthcare system and can be found on Amazon.com. He and his wife Lindy celebrated their 43rd wedding anniversary in September 2017 and have two sons. Outside of medicine, his interests include golf, skiing, fly-fishing, reading and rock drumming. Graduated from the University of New Mexico School of Medicine in 1997, Dr. Glass completed his residency training through Providence – St. Peter Hospital Family Medicine Residency in Olympia, Washington in 2000. He subsequently went to work for the Navajo Area Indian Health Service in Shiprock, NM as a medical officer. In this capacity he provided broad spectrum family medicine care for five years. After a three year stint on the faculty of the Department of Family Medicine at Emory University in Atlanta, GA, he joined the faculty of FMRI in October 2008. He served as the associate director for four years and became the Boise program director in 2013. His passion is helping family medicine residents individualize their training within a broad scope of practice family medicine residency program. He and his wife Marci (pastor at Southminster Presbyterian Church) have two college aged boys. In his free time he can often be found running the Boise foothills trails in training for his next ultra run. Dr. Rich graduated from the University of California School of Medicine at Los Angeles in 1992. He completed his residency training at the Santa Monica Medical Center Family Medicine Residency Program in 1995; where he was Chief Resident 1994-1995. Dr. Rich joined the Family Medicine Residency of Idaho in 1995. He has served as president of the Ada County Medical Society as well as President of the Idaho Academy of Family Physicians. Dr. Rich currently serves as the Chief Medical Officer of FMRI. He is the faculty champion for FMRI’s Patient Centered Medical Home transformation. He also serves as Chair of the Practice Transformation Committee of the Idaho Medical Home Collaborative. His curricular interests are quality improvement, prevention, and outpatient procedures. Dr. Beach grew up in Ohio and Maryland before moving to New England, where she attended Williams College and worked for 7 years as a newspaper reporter. She then attended Dartmouth Medical School and did her family medicine residency at FMRI, graduating in 2001. She spent over 8 years working with mostly uninsured patients and Spanish-speaking migrant farm workers in Nampa, Idaho before joining FMRI in 2010. She is married with 2 children. In her spare time she loves backpacking, playing the piano, nordic skiing, watching Boston Red Sox games, and her newest sport – curling. Dr. Beach’s curricular interests include hepatology, hepatitis C, and rheumatology. Dr. Orme is a graduate of the University of Washington Medical School. She is also a 2017 graduate of the Boise Residency Program. Her experience in Family Medicine covers a broad spectrum, from training medical students, in-patient medicine, and obstetrics to providing primary care to a diverse population at a family medical clinic. As the Vice Dean for Academic, Rural and Regional Affairs at the University of Washington School of Medicine (UWSOM), Suzanne Allen works broadly across academic affairs and regional affairs to enhance the excellence of medical education for the UWSOM and the five-state WWAMI (Washington, Wyoming, Alaska, Montana and Idaho) region. Dr. Allen grew up in Washington, attended the University of Washington as an undergraduate, and George Washington University for her medical education, before completing her Family Medicine Residency at Malcolm Grow Medical Center, Andrews AFB. Following four years of active duty practicing at Ellsworth AFB and Andrews AFB, Dr. Allen joined the FMRI faculty. She enjoys reading, hiking, biking, traveling, and spending time with friends and family. Dr. Marvin Alviso was born and raised in Manila, Philippines. He completed his BS in Biology from the University of Santo Tomas in Manila Philippines. He then continued on to complete his medical degree at the same University. He moved to Saginaw, Michigan in 2008 for his residency in Family Medicine at Synergy Medical Education Alliance and concentrated on HIV care for most of his electives. Marvin became a board certified Family Physician in 2010. Marvin then relocated to Boise, ID to complete a 4th year post graduate fellowship from Family Medicine Residency of Idaho for HIV for Primary Care. He received AAHIVM certification in 2011 and continues to carry this certification. He is currently doing HIV Primary care, family practice, and Refugee Health Screening. Marvin is also passionate about providing primary care for the Gay, Lesbian, Bisexual and Transgender population. Dr Bailey is a graduate of The Medical College of Wisconsin in 2003, and the Eglin Air Force Base Family Medicine Residency (Ft Walton Beach, Florida). Three years and 4 hurricanes later he moved to California to join the teaching staff at the David Grant Family Medicine Residency. He completed a faculty development fellowship at UNC Chapel Hill in 2008. Additionally he deployed to Iraq and Haiti. Interests along the way have included any and all procedures (currently the endoscopy director for FMRI), research into the health benefits of marriage and social relationships, and evidence based family medicine. Outside of work Dr. Bailey spends all his time modifying Nerf Guns, understanding the intricacies of a properly planned tea party, and constantly justifying the need for more novelty ice cream treats with his rock star wife, Holly, and 5 amazing kids. Dr. Barinaga grew up in a sheep ranching family in Cambridge, Idaho and is a graduate of The College of Idaho and the University of Washington School of Medicine. After completing residency at FMRI in 1998, she spent the next 12 years practicing rural family medicine on the Coeur d’ Alene Indian Reservation in Plummer. In 2010, she returned to Boise as faculty for FMRI and also works as Assistant Dean for Regional Affairs for the University of Washington School of Medicine. Dr. Barinaga is active in organized medicine and is passionate about teaching. 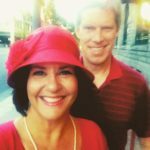 When she is not working, you can find Dr. Barinaga with her husband Doug playing in the mountains or rafting Idaho’s whitewater. Dr. Bastian grew up just north of Dallas, TX. She graduated from Westminster College in Salt Lake City, UT with a degree in philosophy. She then got a Masters in liberal arts from St. John’s College in Annapolis, MD. After completing a post-bacc at Georgetown University in Washington, DC, she went on to medical school at the University of North Dakota in Grand Forks, ND, graduating in 2013. After completing residency here in 2016, she stayed on to join the faculty. She absolutely loves the residency and wants to care for her panel of patients here forever. Dr. Berbert grew up in Hawaii and Utah. She attended Brigham Young University for her undergraduate education and went to University of Utah for medical school. She then completed her residency at Valley Family Medicine in Washington, where she was Chief Resident during her last year. Upon completion of her residency training, she happily joined the faculty at FMRI in 2018. Outside of medicine, she loves eating, traveling, doing pilates, kayaking, playing the piano, and hanging out with her husband Daniel. Dr. Susan Bradford grew up in Alabama and worked as a chemist in Kalamazoo, MI, prior to deciding she preferred people to test tubes. She then attended Medical School at University of Alabama at Birmingham. Dr. Bradford completed her residency at Seattle Children’s Hospital at University of Washington, where she played an active role in the WWAMI Program and spent two months at the Pocatello Children’s Clinic as part of her residency. After residency, Dr. Bradford returned back to Alabama to be close to family. However, she missed the West and returned to Pocatello for 12 years prior to relocating to Boise to work with Meridian Pediatrics in 2010. Soon after arriving in Pocatello, Dr. Bradford became disheartened by the number of women who used substances during pregnancy and saddened by the fact that there was little treatment available to these women even when they wanted it. Through an AAP CATCH grant, she was able to work with other concerned members of the community to investigate the scope of the problem. As a result of this community effort, a day treatment program for parenting women was developed in Pocatello. Many of these women shared that their drug abuse resulted from sexual abuse that occurred in their childhood or adolescence. As a result, Dr. Bradford became interested in doing what she could to break the cycle of this very pervasive problem in pediatric patients. She was fortunate to be able to spend sabbatical time with the Safe and Healthy Families Team at Primary Children’s Medical Center in Salt Lake City, learning how to evaluate and treat children who have been victimized by sexual and physical abuse. While she enjoys all aspects of pediatric practice, working with abused children was an arena that allowed her to feel that she made a difference by helping healing to occur in a child’s life. Dr. Bradford was Idaho Pediatrician of the Year for 2006. She currently serves as a board member for the Perinatal Project and is on the Governor’s Children At Risk Task Force and Idaho’s Child Fatality Review Team. 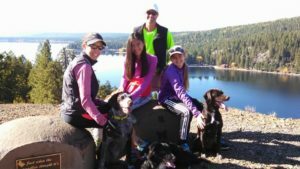 Dr. Bradford enjoys hiking, cycling, Cross country skiing and just being outdoors in the beautiful state of Idaho. She also enjoys gardening and when she has time she likes to read and decorate cakes and cookies. Dr. Bradford is Board Certified in Pediatrics. Graduated from the University of California at San Francisco (UCSF) School of Medicine in 1995, Dr. Brown completed his Pediatric Residency at the Children’s Hospital/University of Colorado Health Sciences Center in Denver, CO in June of 1998. After completing residency Dr. Brown was a general pediatrician for seven years at the Saltzer Medical Group in Nampa and Meridian, ID. Additionally, he has served as Co-Director of the Cystic Fibrosis Center of Idaho since January, 2001. Dr. Brown joined the Family Medicine Residency of Idaho in May of 2004. Since that time he has made continuous improvement of the Family Medicine Residency of Idaho’s Pediatric curriculum his highest professional goal. He is active in public advocacy for children’s health and serves on several Idaho Medicaid committees and state commissions. After graduating from The University of California, San Francisco School of Medicine in 1995,Dr. Cadwallader completed her residency at Tacoma Family Medicine, Tacoma, Washington in 1998. Prior to joining FMRI in 2001, Dr Cadwallader was an assistant clinical professor and primary care provider in Santa Rosa, California. She completed a Faculty Development Fellowship at The University of Washington, with a focus on teaching application of evidence –based medicine. In addition to her faculty role, she is Senior Medical Director of Planned Parenthood of the Great Northwest and the Hawaiian Islands, which encompasses Idaho, Alaska, Washington, and Hawaii. Medical interests include women’s health and family planning, behavioral sciences, and academic writing. She enjoys water and snowskiing, cycling, reading fiction and short stories and travel. She has three children. Chelsea Carlson grew up in the mitten near Lake Michigan. 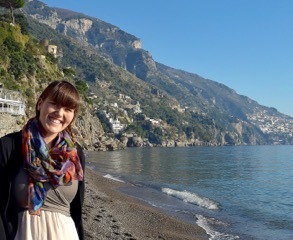 She fell in love with the Pacific Northwest and traveled to the Pacific Lutheran University for her undergraduate studies. There she split her time between the chemistry lab, the cross country course and French language groups. She was encouraged to be a global citizen and was able to study in Martinique, France and Mali. In West Africa she delved into the complex world of rural development with the Mali rural water project which sparked her interest in rural health delivery. She returned to the US and started working for Northwestern University in Chicago in translational research and then continued her medical school career there. She continued her interest in rural and global health serving as the president for NU-AID and on the student advisory committee for global health. 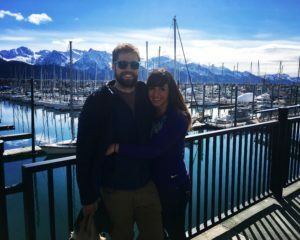 She sought out experiences in rural health but it was in her husband Justin’s home town of Sitka, AK that she fell in love with the breadth and depth of family medicine. Her focus on high-quality, comprehensive and culturally-competent rural healthcare led her to train at FMRI and find a clinical home in the Emerald clinic where she cares for a diverse global community. 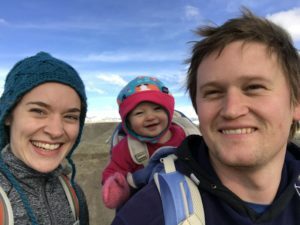 Justin has found a career he loves in chemical engineering at Micron and together with their infant daughter Tove they can be found hiking in the foothills, falling frequently from cross-country skis, and eating their way through Boise’s food scene. Dr. Jennifer Cook grew up in Boise, Idaho, and then moved east for schooling, attending Johns Hopkins University for undergraduate and Wake Forest University School of Medicine in North Carolina for medical school. After a quick consideration of going into Orthopedics, she regained her senses and matched into the Family Medicine Residency at Phoenix Baptist Hospital in Phoenix, AZ, where she served as Chief Resident from 2003-04. She then moved closer to home, completing an OB Fellowship at Swedish Hospital in Seattle, WA. After joining the faculty at Swedish Family Medicine, Cherry Hill for a short time, she headed down to New Zealand, where she practiced as a GP in a nationalized health care system, traveled as much of the sheep laden countryside as possible, and picked up a wonderful kiwi souvenir, her husband, Jason. 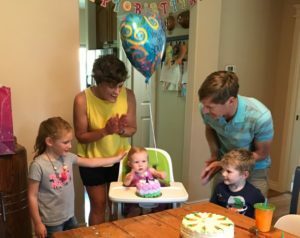 After three years she decided it was time to come home to Boise and joined the Family Medicine Residency of Idaho in January of 2009. Her curricular area of interest is the obstetrics experience, along with directing the OB Fellowship. Additionally, she moved into the Associate Program Director role in February 2017, assisting Dr. Justin Glass oversee the educational experience as a whole for the residency. During her free time she enjoys going to the park with her three kids, Lily, Wylie, and Ella, movies with her husband, aerobic exhaustion of many varieties, and knitting anything possible. Born and raised in the Midwest, Abby is a Buckeye at heart. She graduated from The Ohio State University with a degree in Political Science and International Relations, and then stayed at Ohio State for graduate and medical school, earning a dual MD/MPH in 2011. After medical school, she headed to the east coast for family medicine residency at the Greater Lawrence Family Health Center near Boston, MA, training in full spectrum family medicine at the nation’s first teaching health center and serving a predominantly urban immigrant population. Abby then moved to Boise for the HIV Fellowship here at FMRI. After completing fellowship she joined FMRI as faculty at the Emerald Clinic, focusing on teaching residents and continuing to provide HIV, hepatitis B and C, TB, and refugee care while practicing full spectrum family medicine. Abby has also worked with orphans and vulnerable children with HIV/AIDS in Ethiopia for many years, and has spent time doing HIV care in Zambia as well. She became the HIV & Viral Hepatitis Fellowship Director in 2016, and maintains AAHIVM accreditation as an HIV specialist. She is the Medical Director of the TB clinic, provides viral hepatitis care both at FMRI and in the correctional setting, and leads the Global Medicine Training Track with Margaret Mortimer. Abby dedicates all of her outpatient primary care time to the refugee continuity clinic. Abby speaks English and Spanish, and in her free time, loves to explore Idaho with her puppy, Juniper. Dr. DeBlieck grew up in Boise, and graduated from the University of Idaho in 1986 with a degree in chemistry. He attended Washington University School of Medicine, St. Louis, Missouri, graduating in 1990. Dr. DeBlieck completed his Family Medicine residency in 1993 at the University of Utah, Salt Lake City, where he served as chief resident. He joined the Family Medicine Residency of Idaho faculty in 1996. His curricular area is Dermatology. He and his wife Jan have two sons in college. Jan is a dermatologist, and teaches FMRI residents. Dr. Edwards is originally from Alaska and is a graduate of the Univ of Washington, School of Medicine and the residency at FMRI. He then went onto work at St. Mary’s Hospital in Cottonwood, Idaho for 12 years, providing full-spectrum family medicine. From 2005-2012, Dr. Edwards worked in rural Texas and completed a Master’s in Public Health degree at Johns Hopkins University. In 2013, he joined Doctors Without Borders and worked in various countries over the next 3 years including Kenya, Ethiopia, Liberia, Zimbabwe, Ukraine and Afghanistan doing a combination of emergent global health responses and public health-related research. In 2015, Dr. Edwards joined the Dept of International Health at Johns Hopkins University, School of Public Health and is currently a post-doctoral fellow. In 2016, he returned to FMRI to work as faculty, while still continuing to work overseas with Doctors Without Borders three months a year. Andrea Esplin was born and raised in Idaho. She attended the University of Puget Sound in Tacoma, Washington, receiving a Bachelors degree in Natural Science Biology with a Minor in Chemistry. She went on to the University of Utah School of Medicine for her medical Doctorate and returned to Idaho for residency at the Family Medicine Residency of Idaho, staying on as faculty after completing the residency program. Dr. Esplin currently practices full spectrum family medicine and has a focus on procedural skills and endoscopy. She married her high school sweetheart, who is a nurse at Saint Alphonsus and realtor. They have a wild toddler and chocolate lab. She has numerous interests, which include any outdoor activities. Dr. Julie Gendler grew up in Kalispell, Montana. She received her BA from Dartmouth College in 1998 and a MS degree from Montana State University in Child Development in 2000. After graduating from University of Nevada School of Medicine in 2004 she completed her Family Medicine training at FMRI in 2007. She then spent the next 4 years practicing full spectrum family medicine in Madison, WI. After taking some time off to be a full time mom to her 3 kids she returned to FMRI as part time faculty in 2012. Outside of work and her normal duties as a personal assistant/chauffeur/chef/event coordinator for her three wonderful children, she enjoys baking, reading, knitting, and participating in triathlons. Graduated from the University of Nebraska Medical Center, College of Pharmacy in Omaha and the clinical pharmacy training program at the University of Nebraska Medical Center. Dr. Hefflinger joined the FMRI faculty in 1987 and as you can see from this devilishly handsome picture, he is a fun loving and easy going gentleman that occasionally needs to straighten his tie. His responsibilities include teaching residents, pharmacy residents, and pharmacy students from Idaho State University, pharmacology and therapeutics in the hospital and ambulatory care setting. He loves coming to work every day because of the great people. Graduated from the University of Washington School of Medicine in 2001, Dr. Kikuchi completed her Pediatric Residency at the University of New Mexico in 2004. She subsequently worked in the Pediatric Urgent Care Clinic of the Palo Alto Medical Foundation, prior to joining the Family Medicine Residency of Idaho in October 2005 as a part-time Pediatric attending. Dr. Krahn grew up in the high desert of New Mexico. 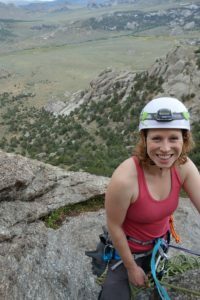 A lover of the mountain west, she ventured north to Fort Collins to study biomedical sciences at Colorado State University. After a few years of playing in the Colorado Rockies, she headed south to the University of New Mexico School of Medicine where she found her love for family and community medicine. 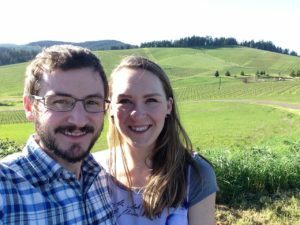 She and her husband (a rural Idaho native) were thrilled to move back to Idaho for residency training at FMRI, where she is now a part of the faculty. Dr. Krahn practices full spectrum family medicine, and enjoys teaching (and learning from!) residents and medical students. 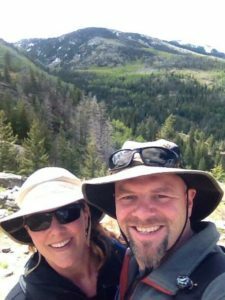 In her spare time, she enjoys anything and everything the outdoors of Idaho has to offer with her husband, family, and friends. Dr. Martin became part of the FMRI family in 2015. She received her PsyD in clinical psychology from Florida Institute of Technology and completed her internship at Brooke Army Medical Center in San Antonio. She completed her fellowship in health psychology in primary care at Michigan State University where she met her husband, Derek. Their son, Cameron, loves swimming, flag football and baseball. 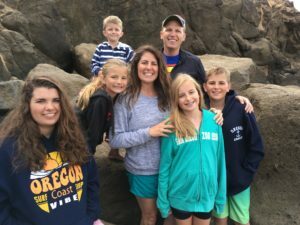 After 9 years of teaching behavioral medicine in a large, urban setting, Susan came to Boise (“the Best place to raise a family”) to pursue teaching residents in the rural setting. Susan’s special areas of interest include integrated care, medical education and health psychology in primary care. Outside of work, the family spends time hiking, biking, kayaking, camping, and cooking meals together. Margaret Mortimer joined FMRI in 2011. In addition to family practice care, she is a clinical coordinator and provider for the refugee screening and refugee continuity clinics at the Emerald office. She also staffs the TB clinic. Margaret has been providing primary care as a board certified, Family Nurse Practitioner(FNP), in Idaho, since 1997. Prior to joining FMRI, she worked at St Luke’s Internal Medicine for 7 years. Before moving to Boise, she worked in rural health care for 7 years at the Glenn’s Ferry Health Center and served there as a National Health Service Corps provider. Her degrees include a Masters in Science in Nursing(MSN) degree and Registered Nurse(RN) degree from Vanderbilt University, Bachelors of Arts(BA) in Philosophy and French from the University of Wisconsin- Madison, and is currently a student in a Masters in Public Health program. She has served as a community health educator during her time as a US Peace Corps Volunteer in Cote d’Ivoire, West Africa. When not working, she likes to explore Idaho’s beautiful outdoor spaces with family and friends. Sandy was raised in Colorado, and then went exploring the world, living in many different states and countries. She is a former Peace Corps Volunteer in Gabon, Africa, where she discovered her love of medicine and public health. She graduated with an MD/MPHTM from Tulane University in New Orleans, and then completed residency at FMRI, where she is now faculty. Together with her husband, she likes to enjoy the variety of outdoor adventures available in Idaho. Dr. Nichols, raised in small town Anaconda, MT but with a sense of adventure, ventured off to Gonzaga University for undergrad to pursue degrees in Biology and Psychology. Afterwards, she set out on a new adventure to Miami, Florida to complete medical school. 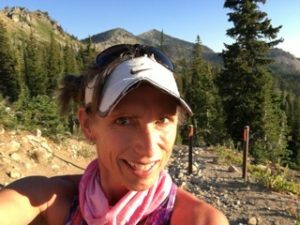 Despite the lures of the Florida Keys and warm water she returned to the mountain west to complete residency at FMRI and be closer to the mountains and outdoors. 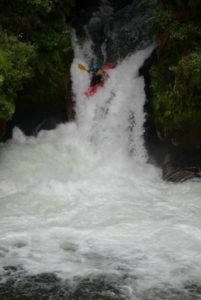 In Boise she took up whitewater kayaking and has now traveled around the world (as well as the state of Idaho) to enjoy this extreme sport, even living in New Zealand for awhile. She enjoys the full scope of practice at the residency as well as the opportunity to teach and learn from the great residents we have. When not kayaking or working, she likes to mountain bike, hike, snowboard, or sit in an Idaho hotspring and enjoy the scenery. Graduated from the University of California at Davis. Dr. Palmer completed his residency at the Family Practice Residency of Idaho in 1989. He then completed a faculty development fellowship at the University of Washington and has achieved added qualifications in geriatric medicine through the American Board of Family Practice. His special interests are geriatrics, the use of computers and handhelds in clinical medicine and residency training, and substance abuse. Dr. Palmer joined FMRI as family medicine faculty in 1998. Tom grew up in Arizona and attended the University of Arizona for Undergraduate, Medical School and Pediatric Residency. He decided on Pediatrics early in his fourth year of medical school as he kept being pulled towards the care of children. He met his wife, who was from Idaho, while she attended college in Tucson. On completion of his residency, the two returned to Idaho and Tom started private practice at Medical Center Physicians where his wife was a pediatric patient growing up. MCP changed it’s name to honor the founding physician, and thus, became Saltzer Medical Group. Tom held many leadership roles in his 18 years at Saltzer. He started teaching for the University of Washington School of Medicine in 2009 and this proved to be a passion he wanted to develop. Moving to FMRI allows him to enjoy the mix of seeing his own patients as well as teaching the next generation of doctors. Tom has served both the local and national chapters of the American Academy of Pediatrics, where he has held several leadership roles throughout his tenure. He thrives in caring for the underserved and has a longstanding passion for the interface of mental illness and pediatrics. His efforts around immunization improvement has provided tremendous benefits to many Idahoans. In addition to his roles at FMRI, Tom is currently the Medical Director of the St Luke’s Children’s Performance Improvement Workgroup and serves on the Idaho Immunization Coalition he co-founded in 2009. He enjoys weight training/fitness, hiking, swimming and the outdoors. Tom is happiest when he is spending time with his wife and three boys! Dr. Serio grew up in Virginia, and graduated from the Medical College of Virginia. After he completed residency at FMRI he stayed in Idaho and worked at Terry Reilly Health Services, and Saint Alphonsus Medical Group. In 2004, he became Director of Medical Services at Boise State University Health Services, a position he held for 13 years. During his tenure at Boise State, Dr. Serio also served as the ship’s physician for the Semester at Sea program, traveling to 17 cities in 13 countries on 5 continents in 100 days. He joined FMRI in 2017 to further his passion for teaching the next generation of family medicine specialists. He now serves as the Clinic Director at FMRI’s Meridian clinic site. His clinical interests include colposcopy, office-based procedures, travel and wilderness medicine, urgent care medicine, and clinic operations. In his spare time, Dr. Serio enjoys spending time with his wife and twin daughters, fly fishing, sailing and tinkering in his workshop. 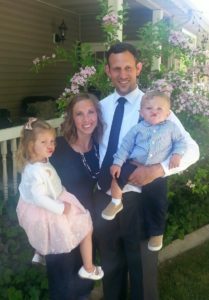 Dr. Shepherdson graduated from Western University of Health Sciences Pacific in 2009 and returned home to Boise to attend residency at Family Medicine Residency of Idaho. Since graduating residency from FMRI she has continued to practice full scope family medicine at the Meridian Family Health Center as well as continuing to teach residents as an attending for procedure clinics. She lives in Meridian with her husband Jason and son Beckett. She loves spending time with family and when she gets a few moments to partake in one of her many hobbies including scuba diving, travel, fly fishing, skiing, cooking and gardening. Graduated from University of Texas Southwestern School of Medicine in May of 1988, Dr. Showalter completed her Pediatric Residency at the University of Utah in May of 1991. After Residency Dr. Showalter spent a year at Emory University in Atlanta, GA as a Pediatric staff physician and then three years with the Pediatric and Adolescent Center doing private practice in Boise, ID. She joined the Family Medicine Residency of Idaho as a part-time Pediatric attending in April of 1998. Her husband is an orthopedic physician who works with the residents on their Orthopedic rotation as well as on some electives. I was raised on the coast of Maine, but got the mountain bug early in my teens on a backpacking trip to the Sawtooths. Naturally, I wanted to head west for college and was lucky enough to spend four years at Colorado College. I attended graduate school for both a nursing and a combined CNM/WHNP master’s program at Georgetown University in Washington, DC then moved to Boise in 2013 for a job as a full scope Certified Nurse-Midwife at a well-established birth center and home birth practice. While exceedingly fun and fulfilling, I could not sustain the rigorous call schedule after my daughter was born (at home!) so I left the out-of-hospital birth world for my current role at FMRI in 2016. It has been a perfect fit! I precept OB clinics, head the South Boise Women’s Correctional Center OB/GYN program, organize the Maternal Child Health didactics and participate in a number of hands on trainings at the residency. Outside of work, I try to stay active in my professional organization as well as advocacy programs I find important. I currently serve as the Idaho Affiliate of the American College of Nurse-Midwives President, as a member on the March of Dimes Regional Committee and as a co-leader of the new Idaho cluster for the Reproductive Health Access Project. Speaking of play, my husband, dog, toddler and I spend most weekends using our self-outfitted Sprinter van as a base camp for mountain biking, trail running, backcountry (or resort) skiing, paddle boarding and more. We love to travel, both within the States and internationally. I love to cook delicious vegan food, garden and learn new skills like canning and making kimchi. Not many people can say they’ve achieved a perfect work/life balance, but thanks to FMRI, I feel entirely professionally fulfilled while still being able to take time to do the things I love most, which always almost involves mountains, water, rocks, roots and lot of sweat. While growing up in Pocatello, the young Dr. Williams took to exploring the mountains of Idaho and fostering a love of the outdoors. 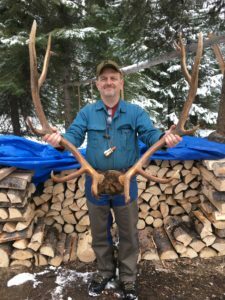 After graduating from University of Nevada SOM in 2003 and following his residency completion in 2006 from Idaho State University Family Medicine Residency, he ventured to the Flathead Lake area of Montana. There he worked for a rural hospital doing full spectrum family medicine for the next 10 years. He participated in several organizations, including President of the Montana Academy of Family Physicians, board member of Montana Medical Association, and he served one year on Montana State Governor’s Council on Healthcare Innovation. With a desire to share his experiences and move closer to family, he joined FMRI in the fall 2016. Here he is continuing his full spectrum practice by teaching new family physicians to broaden their skills and confidence. He is helping with the rural programs and developing a wilderness medicine curriculum. Free time is one of his favorite things and he can be found hiking the hills with his two boys, looking for mountains to climb and photos to take, sitting with a good book, contemplating the stars, laughing often and has been known to dabble in zymurgy. Nicky was born in Salem, Oregon where she lived until she was 10 years old. She moved to China with her family where they lived for 5 years. She also spent time in Japan and Chile before returning to Oregon. She graduated from Portland State University where she continued her studies in Mandarin and then went on to attend medical school at Western University of Health Sciences in Lebanon, Oregon. Before medical school, Nicky worked in her family’s produce export business as well as worked as a residential treatment counselor for pregnant and parenting teen mothers. She also volunteered her time at a local hospital as a birth doula. Within family medicine, Nicky is particularly interested in women’s health. Nicky, her husband Ryan, and their son Timmy, are all very excited to be in Idaho and are looking forward to exploring all that Idaho has to offer. Reuben grew up in Charlottesville, Virginia, went to college in North Carolina (Go Heels! ), and then taught for a few years in New Orleans, Louisiana. After realizing he didn’t have the chops for teaching middle school, he decided to enter a post-bac program to complete his pre-med requirements with the goal of becoming a doctor. While applying to medical schools, he worked with patients as a case manager in an HIV clinic. It was during this experience that he knew he had made the right choice to pursue a career in medicine. He attended medical school at Brown University in Rhode Island where he met his partner, best friend, and now co-resident at FMRI, Ellen. They survived medical school by growing a garden together, taking frequent trips to the beach, hosting dinner parties, and babysitting for their favorite baby in the world. They are excited to learn broad-spectrum family medicine and to explore the beautiful state of Idaho! My name is Louie Bartoletti and I am excited and honored to be a new FMRI resident. 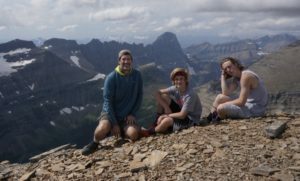 I grew up at the base of the Tobacco Root Mountain Range in Montana, and while camping, skiing, on horseback, and building cabins, those mountains have produced many of my fondest memories and most profound reflections. In the small town below, I spent my youth immersed in the resplendence and beauty of the intimate relationships and interwoven tapestries of life unique to rural communities. There, I was first introduced to the profession of Family Medicine shadowing my own physician whom I had known since my first vaccinations. Her warmth, rapport, and familiarity with patients, borne through years of caring for multiple generations, were so profoundly rich that the experience forever solidified my ambitions. Living, learning, and sharing with other cultures are also among my primary interests. My family has hosted many exchange students and I too spent two years abroad living with families in Spain and Switzerland. While studying in undergrad for degrees in Biology and Spanish, I organized medical outreach to Eastern Europe, Central America, and Haiti. Alaska, where I worked operating heavy equipment, was home for several summers and a place I encountered unique people from all parts of the globe. Lastly, my wife, the beautiful Jade, and I have hit the road on multiple transcontinental trips through North America, South America, and SE Asia taking in the sights, making new friends, and learning more about the world. Ultimately this desire to understand people with the hope to help them is what sustained my efforts through medical school and brought me to the Family Medicine Residency in Boise. As I continue building continuity with my patients, increasing my medical knowledge, furthering my procedural proficiency, and exploring the mountains of Idaho, I know both professionally and personally my wife and I made an excellent choice. Laddie was born, raised, and educated in North Carolina. He grew up in Kinston, a small rural farming town in eastern NC. Attending the local university at East Carolina University he dual majored in chemistry and biology. After college, he tried multiple vocations before finding his calling in medicine. Initially he worked in a stem cell biology lab. During this time, he began his work in literacy; first volunteering with immigrants teaching citizenship classes and reading. Continuing his service to the community, he moved back to the coastal plains to teach science at the local high school. This experience finalized his desire to help the underserved. 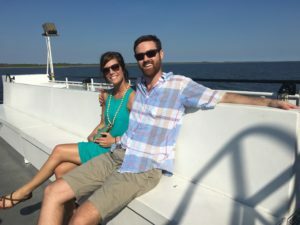 Growing up in the shadow of a full spectrum family physician, he knew the impact of a primary care doctor in a community, and followed his father’s footsteps into family medicine, attending his alma mater for medical school at East Carolina. During residency, he hopes to hone his skills in both outpatient and inpatient medicine. He is particularly interested in reaching at risk adolescents. Outside of work he enjoys getting outside, biking, and fishing with his wife Brynn. Matt grew up in Anchorage, Alaska. His home state’s rugged beauty helped instill his appreciation for wild places. 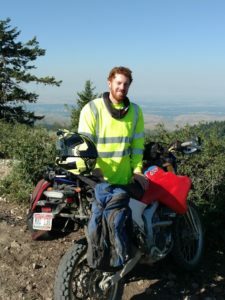 He studied neuroscience and Spanish in Bozeman, Montana and spent a semester in the Dominican Republic. During college, he became interested in medicine as a tool for social justice. He began to consider family medicine while volunteering at his hometown community health center where he was impressed by the broad skill set, dedication to health access, and joie de vivre displayed by the family doctors he worked with. After college, Matt moved to Washington, D.C. to work in a neuroscience laboratory. Missing the immediacy of patient care, he next worked for a health center serving the area’s LGBT+ community. There, he confirmed that his passion lay in working with individual patients to address broader health disparities. Before entering medical school, Matt took a stab at his bucket list and completed two long-distance bicycle trips, traversed the U.S. by train, studied medical Spanish in Guatemala, and spent as much time in a tent as possible. 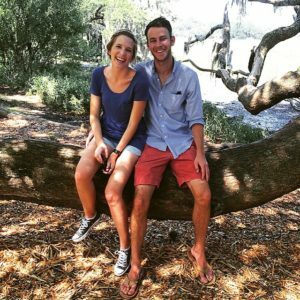 Matt completed an outpatient rotation at the FMRI during his fourth year and is thrilled to have matched here. The program’s rigor and breadth of training is a perfect fit for his goal of providing full-spectrum care in rural communities throughout Alaska and internationally. Over the next three years, he is excited to explore his clinical interests, including obstetrics, family planning, immigrant health, LGBT+ health, HIV prevention and care, and addiction medicine. 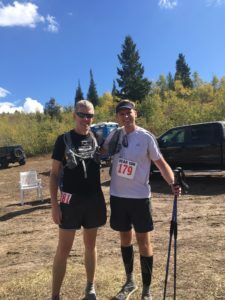 In his free time, Matt enjoys trail running, hiking with his two dogs, telemarking, catching up on podcasts, and reading. Julie Duncan is coming to the FMRI Boise program from Missouri. She grew up in Springfield, MO and attended college at William Jewell in Liberty, MO. During college she studied abroad in Athens, Greece where she got involved with a mobile health unit that ran a needle exchange program. This experience sparked her interest in public health and she went on to earn her Master in Public Health with a concentration in international health at Boston University. During that time, she was able to spend 6 months in the Philippines to complete a practicum project addressing inhalant use among street children in Manila. After finishing her MPH, she took off to Lusaka, Zambia where she worked for 3 years on projects in preventing mother to child transmission of HIV and syphilis and on a pneumonia etiology case-control study. She returned to MO to attend med school at Mizzou and is excited to combine her interests in public health and medicine in a career in Family Medicine. She hopes to be an advocate for social justice in medicine and plans to pursue a career working with underserved populations. Outside of medicine, she enjoys going to concerts, biking on the trail, running, traveling and a good bit of karaoke. She’s super excited to get to know Boise and join the FMRI family. Joey Florence is a proud Idahoan, born and raised. Growing up here, she learned to love the Idaho outdoors and the wonderful people who live here. 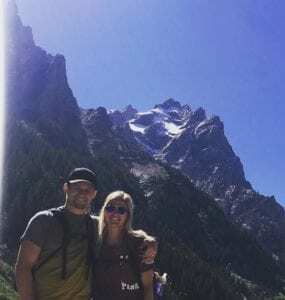 Joey graduated from Bishop Kelly High School in Boise in 2009 then studied Exercise Science at University of Idaho in Moscow and participated in the Greek system as a Kappa Alpha Theta. During Joey’s time in Moscow, she worked as a gymnastics coach at Palouse Empire Gymnastics. Joey also volunteered her time at a free health clinic in Lewiston, Idaho at Snake River Community Clinic. After graduation from the University of Idaho, Joey started her medical school journey at the University of Washington’s Idaho WWAMI program. She felt lucky to do most of her training in areas of Idaho including Moscow, Hailey, and Boise. Through her training, it became clear that family medicine would be the perfect fit for her. When her nose is not in the books, Joey loves playing board games, traveling, dancing and spending time with her loved ones (humans and dogs). Her love of the outdoors continues to grow; when she finds the time, she rock climbs, hikes, and bikes. She also has a passion for organized sport. Her first love was gymnastics then later track & field. In college, she found a love for Ultimate Frisbee, now, she participates in local city-league volleyball. Her love of sports spilled over into professional life as a passion for sports medicine. Joey laughs easily and feels joy from practicing medicine. She looks forward to growing her medical knowledge with FMRI and describes that she feels blessed to continue to deepen her Idaho roots. Lauren Franklin is a native Idahoan and proud of have grown up in the great city of Boise, Idaho. She left Idaho to attend Carroll College in Helena, Montana, where she studied Biology and ran on the cross country team. While there, she continued her love of travel with a study abroad program in Israel. Between college and medical school, she spent time working on women’s health projects in Chincha, Peru. She attended the University of Washington School of Medicine and was able to explore each of the “WWAMI” states (Washington, Wyoming, Alaska, Montana, and Idaho) during her four years there. Lauren’s passion for patient care and interest in community health has motivated her to pursue a residency in family medicine. She also loves her hometown of Boise, so it was an easy decision to select FMRI as her first choice. An avid long-distance runner, Lauren loves to run in the foothills and recently participated in the Sawtooth Relay with her fellow WWAMI classmates, where the team received second place. 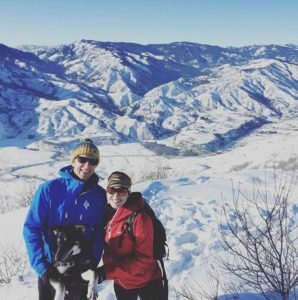 Her love for her community, her family, the outdoors, great running trails, skiing, and a fun, vibrant, and artsy town made it her dream to hopefully come back and practice in Boise one day as a family physician. 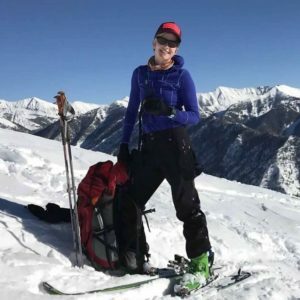 Annie, a Boise native, grew up spending most of her free time skiing and backpacking in the nearby Sawtooth Mountain range. When not in the mountains, she chased her passion on the soccer field. She continued on to play soccer at Idaho State University where she received her BS in Microbiology. Her interest in medicine was sparked by a medical mission trip to Chile where she developed a fondness for the doctor-patient relationship. The University of Nevada School of Medicine fostered Annie’s desire to provide patient-centered, holistic care. 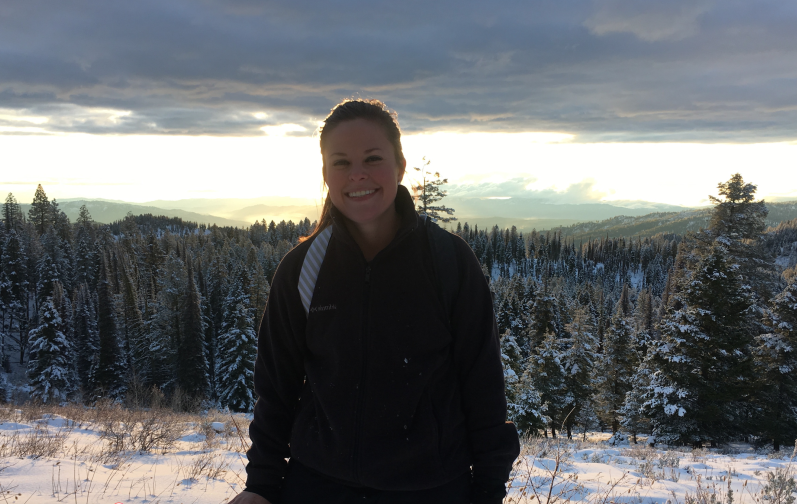 She’s now thrilled to begin her residency at the Family Medicine Residency of Idaho because of the exceptional mentorship and training it offers, the closeness of her immediate family in Boise, and the opportunity to play in her hometown foothills once again. Kade is a Midwest native who was raised on a cattle ranch in the Black Hills of South Dakota. Although he prided himself on being a cattle caller, he felt there was a bigger calling in the field of medicine for him. Kade graduated from Augustana University with a major in Biology and attended medical school at the University of South Dakota. During his medical studies he was involved in teaching classes to incoming medical students and undergraduates, served at volunteer clinics, and did basic science research through the Scholarship Pathways program. Kade has always had a passion for rural medicine and felt that FMRI would give him outstanding training in all fields. He wanted to be in a medical environment where he could deliver holistic, thorough, and up-to-date healthcare to each patient, making them feel valued and cared for as an individual and as a family. Kade finds the field of Family Medicine humbling, unique, and ever-changing. He feels extremely grateful for the class and faculty that have made him feel a part of the FMRI family. Kade and his other half, Ali, enjoy hiking, camping, any outdoor sport, road trips, all genres of music, coffee, and a good game of Cribbage. Kade also enjoys an exciting hunting trip and a good book. He is also thrilled to gain the title of ‘Dad’ in the spring of 2019 and can’t wait to start his family in Idaho. I was raised in Baghdad, Iraq and attended medical school at the University of Al-Mustansiriyah College of Medicine, Iraq. My wife, also a physician, and I have three sons. I enjoy swimming, mountain hiking, and camping. I practiced medicine as a surgical intern, family physician, hospitalist and ED physician in Iraq, Oman and Jordan. I resettled in Twin Falls, ID in June 2009, working as a medical interpreter at St. Luke’s Magic Valley hospital. I chose FMRI because I want to have a broad spectrum of training in Medicine. As a family, we really love Boise, a beautiful city with a lot of great outdoors activities. Growing up in beautiful Oregon, I spent a lot of time playing sports and enjoying the great outdoors with my five rowdy brothers. This, consequently, resulted in many ER visits which was one of several experiences that sparked my pursuit of medicine. After completing UNTHSC’s rural medicine track in Texas, I discovered that family medicine was the perfect fit for me. I love everything about it: the people with whom I work, the patients who share their deepest concerns and the joy that’s experienced when someone finally reaches a HbA1c <7. Family medicine is the best! Some of my passions within family medicine include nutrition/preventative medicine, mental health, rural medicine, emergency medicine, ultrasound, diabetes, pediatrics and procedures. There are many amazing Family Medicine programs, but FMRI was the best fit for me. After completing a sub-internship here, I realized that there were opportunities here which I wouldn’t find anywhere else. This training includes unique, broad-spectrum family medicine education with development of procedural skills and vast opportunities to manage HIV, Hepatitis, TB, etc. We love Idaho and are so honored to be part of FMRI. 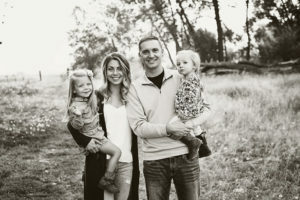 Ryann Milne-Price hails from a family that sells John Deere tractors on the Eastern Montana plains, but is moving to Idaho from the big city of Seattle, where she completed medical school. She took an extra year of school to get an MPH in global health, and so cherished this time to learn from colleagues from around the world. In her future, she hopes to practice medicine in the rural West and work to improve global access to reproductive health services. Ryann loves raising ducklings, soaking in hot springs, and cross country skiing and can’t wait to move to Boise where she might someday get to do all three in the same afternoon. She is so happy to join the community at FMRI. Dan grew up in the village of Lakewood on beautiful Chautauqua Lake in western New York. He is the oldest of 5 and has three awesome younger brothers and a perfect little sister. 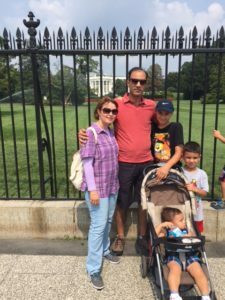 Primary care medicine has always been a part of his life as his parents work as a general internist and a family doctor in the same practice. Despite that, Dan took a circuitous route to medicine, first getting a History and Anthropology degree from the University of Rochester where he loved working with his peers on various social justice endeavors. He also had an amazing experience as a Division III athlete running on the university Cross Country and Track & Field teams with an array of characters he feels lucky to have met and call friends. 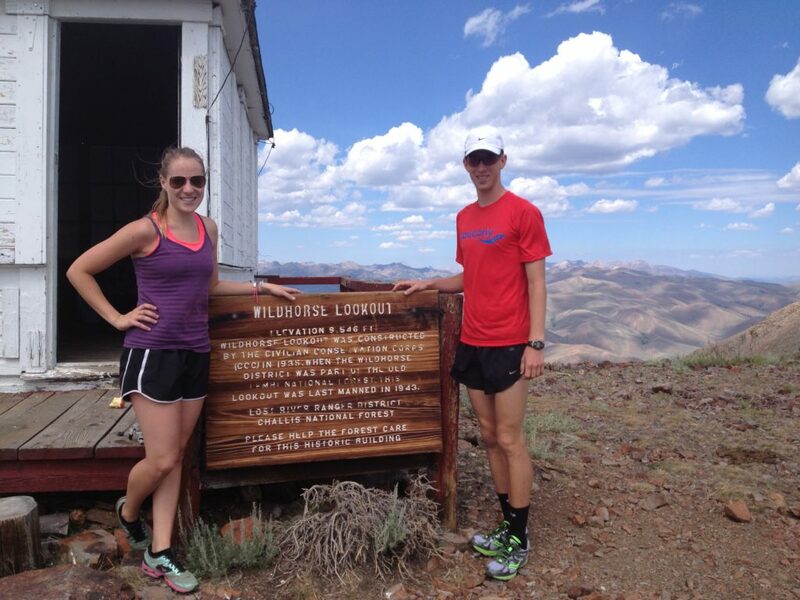 Even more fortuitous, he met his fast and adventurous wife-to-be, Sadie, who was also a runner on the women’s team. After college, Dan spent various time in more school, working, and a two year stint in Americorps under the guise of figuring out exactly what he wanted to do with his life while also supporting Sadie as she obtained her Doctorate in Materials Science at Vanderbilt University. Eventually he decided he wanted follow in his parents footsteps and study to be a primary care doctor and was fortunate to be able to attend medical school back in New York at SUNY Buffalo. 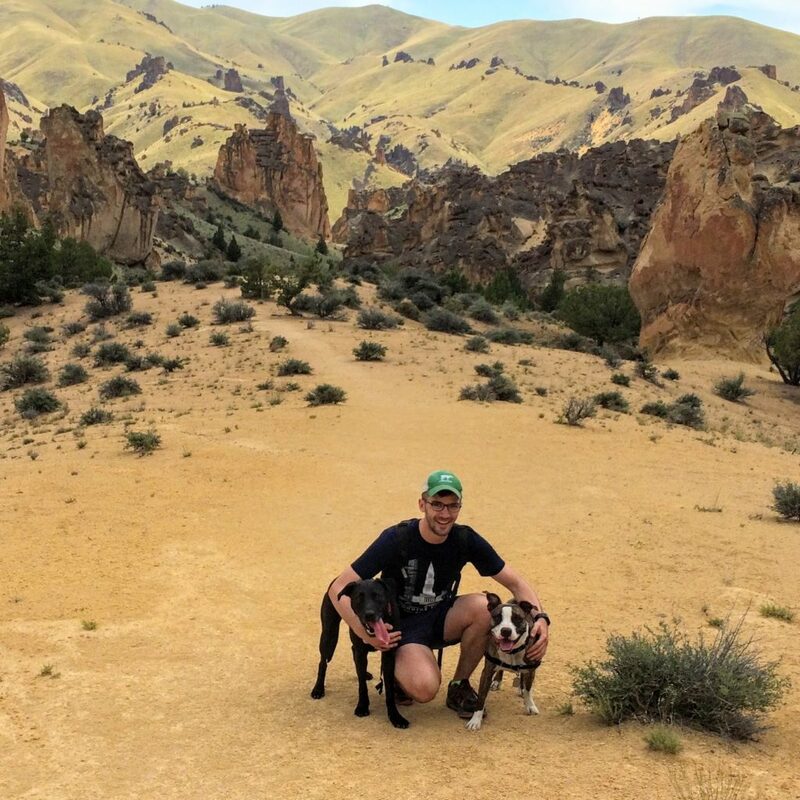 He and Sadie are thrilled to move out to Boise to train at FMRI and have the opportunity to explore Idaho. 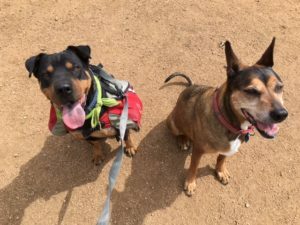 When they don’t feel too guilty leaving their two cats Liliana and Jupiter at home alone on their couch, you will find them running, hiking or mountain biking around Boise and the surrounding area. Andrew (Andy) was born and raised in Boise. He attended Boise State University, where he completed his bachelor’s of science in Biology while catching as many Broncos sporting events as possible. Also during college, he immersed into the medical community as an ER Scribe at several of the Boise area emergency departments. He then moved to Oregon for medical school at Western University of Health Sciences. There, he developed a passion for Osteopathic manipulation and spent an extra year at WesternU teaching 1st and 2nd year medical students the art of manipulation. In this process, his medical interest in Integrative Medicine and Osteopathic manipulation grew. Andy has been married since August 2014 to his wonderful wife, Annie. She is working toward her PhD at University of Oregon, studying Medieval Literature in the English Department. He and his wife are very excited to be back in Idaho for residency, closer to their families and to build a new family at FMRI. Their hobbies mostly involve being outside in the mountains; fly fishing, mountain biking, hiking, camping, snow skiing and snow shoeing. Additionally, they enjoy craft beer and wine tasting, along with cooking. Hello! My name is Jeff Pennings and I couples matched at FMRI with my partner Kelly Stanley. I was born and raised in Goshen, New York just one hour upstate of New York City. I attended Clemson University for my undergraduate and I am a big Clemson football fan! After finishing undergrad I moved up to North Carolina and received my medical education at Campbell University School of Osteopathic Medicine where I met Kelly. We have both always been passionate about Family Medicine. My interest in Family Medicine started as a child seeing my dad practice as a Family Physician. This interest only grew in medical school as I served as the student member on the North Carolina Academy of Family Physicians board of directors during my second year and third year of school. It was during my time with the NCAFP that I solidified my commitment to pursuing Family Medicine because it is the absolute best specialty in my opinion. I chose FMRI because this program is committed to training residents in full spectrum family medicine, allowing me to develop skills and knowledge to practice in any setting going forward. I also found that at FMRI there is a supportive and collaborative relationship between staff, residents, and attendings that makes this program feel like family. My goal at FMRI is to connect with patients from all different backgrounds and to work as a team with them to create better health and wellness in all aspects of their lives. Outside of medicine Kelly and I enjoy hiking with our pups Fritz and Henley, eating at all the delicious restaurants and breweries in Boise, and exploring Idaho. We are beyond excited to take on winter sports again and try out new outdoor sports like rafting, mountain biking, and climbing. I am also a runner and play soccer. Anyone interested in running should know that there are more trails around Boise than you could ever hope to conquer! I am so happy to be at FMRI and in Boise with its fun, vibrant downtown and access to the outdoors. Growing up in a small farm town just west of Wichita, KS, my life has changed pretty drastically since moving to Boise. The mountains are just a short drive away now, outdoor opportunities such as skiing and white water rafting are virtually endless, and it’s just a little more crowded. I went to medical school at the University of Kansas SOM in Wichita, and in my fourth year I was looking for a program that provide ample inpatient and outpatient procedural opportunities such as colonoscopies, thoracentesis, paracentesis, injections, and GYN procedures. Also, because I am going back to work in rural Kansas after graduation, I was looking for a program that could teach me everything I needed to know about ER, OB, inpatient and outpatient medicine so that I can be the “do-it-all physician” when I’m done here, and the fact that this program is completely unopposed in a city as big as Boise was a huge draw to me. However, the thing that convinced me this is where I wanted to train more than anything was the fantastic time I had during my interview here. The faculty were extremely approachable and supportive, and the resident dinner was a blast. Residents, spouses, faculty and even pets were all in attendance and everyone seemed like one big family. I am engaged to my wonderful fiancé Jami, who will be moving here in September with our dog Goose (huge Top Gun fans and he is the ultimate wingman). In my free time I enjoy downhill skiing, fishing, rafting/floating, going to the lake, and any recreational sports I can find. I am a huge sports nut and will play/watch any game, and on every Sunday I have off you will find me supporting the greatest NFL team ever, the Kansas City Chiefs! Ellen grew up in a small Vermont town with her two sisters. She studied Community Health at Brown University in Rhode Island and became interested in medicine when she began studying alternative models of health in her disability studies classes. 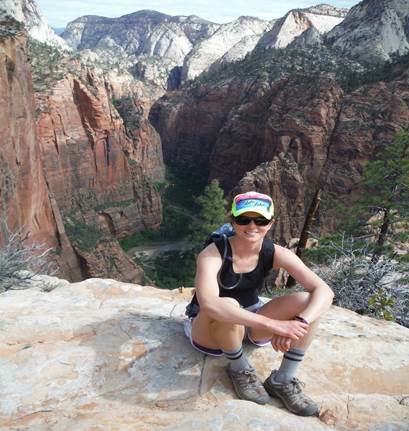 After continuing at Brown for medical school, Ellen is extremely excited to once again find herself in the mountains! During residency, Ellen hopes to continue pursuing her interest in full spectrum rural medicine with a focus in food access, women’s health, and disability medicine. 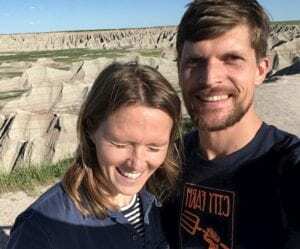 When she isn’t at the hospital or clinic, she can likely be found skiing, hiking, cooking, or finding balance in her garden with her partner and co-intern Reuben. I came to medicine circuitously, first studying chemistry, then ecology, then Spanish. Over time, I realized that my main passions were creating a healthier, more sustainable world and getting to know people. Doctoring seemed like the place to start melding the things I cared about into a career. Throughout my medical school journey, I was drawn to people’s stories and found that one of my greatest joys is caring for people over time. These discoveries about myself, along with passions for both women’s and children’s health, made family medicine a natural choice for me. As an Idaho native aspiring to work in rural, full spectrum care, I am delighted to have the opportunity to train at FMRI – it allows me to stay close to the people and places that I love while being challenged and supported to become the best doctor I can be. I am most excited about FMRI’s strong pediatrics, obstetrics and procedures curricula, as well as the diverse patient population served by our FQHC clinic. Outside of work you might find me out on the trails with my partner and dog, cooking something tasty with veggies from my garden, singing on my back porch, or knitting yet another hat. Jessica was raised in Maryland, the land of crabcakes and football. Her wonderful family and friends inspired her to have a curious spirit, a heart for people’s stories and lives. She made the trek to the PNW for undergrad and received degrees in biology and chemistry from Seattle Pacific University. Jessica attended medical school at ATSU-SOMA and moved to Portland, OR for clinical rotations. She had the opportunity to learn from amazing mentors all over the country: from a mobile clinic in Portland, to a level 1 trauma center in Brooklyn, NY, and an FQHC and critical access hospital in Washington. Though a research project on prescription opioid reversal agents at a syringe exchange, her passion for addiction medicine and harm reduction grew. She is thrilled to work with the FMRI team to provide compassionate care to families from all backgrounds and create innovative solutions to decrease health disparities. Excited about: working with the urban underserved, addiction medicine, osteopathic manual therapy, and infectious disease.. On days off, you can find Jessica riding her bike to a coffee shop, backpacking in the Sawtooth Mtns, kayaking, or jet-setting somewhere new. Expect the unexpected! Robin was raised in the small farming community of Lanesboro, Minnesota where her first exposure to medicine was through her parents, small and large animal veterinarians. While observing her parents’ medical practice, she gained an appreciation for the sciences and attended Drake University. During her undergraduate schooling she studied public health in Botswa na and explored the biopsychosocial factors contributing to health in several of her college courses. From these experiences she felt that she would best serve as an advocate for health care and social justice through work as a family physician. Robin completed her first two years of medical school at the University of Minnesota-Duluth campus then spent her third year of school completing the Rural Physician Associate Program (RPAP) in Willmar, MN. 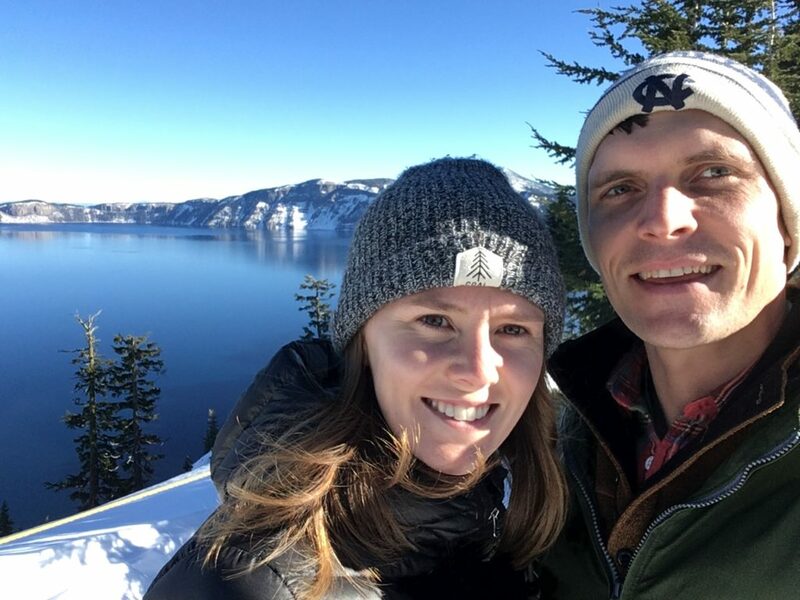 In medical school Robin met her partner, Chris, who is joining her on the adventure out west, as he is a resident in the Boise Internal Residency program. For someone with interests in full scope family medicine, family planning, and refugee health, FMRI was the perfect fit for Robin to achieve her professional goals. 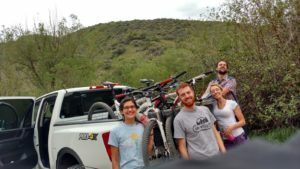 When Robin isn’t commuting by bike around the city, you can find her and her partner on the many miles of Boise foothill trails, rock climbing, tending their forever weed-growing garden, and bringing together family and friends as much as possible during this busy time in their lives. Growing up on a farm in a small southeastern Idaho town, I gained a deep appreciation for what it means to be part of a rural community. Everyone knows everyone and relationships matter. My family doctors were my heroes growing up, as I saw the great role they played in the community. They worked tirelessly to ensure that solid healthcare was provided to my neighbors, friends, and local farmers, including my family and I. I hope to one day contribute in the way that they have. I enjoy the diverse spectrum of family medicine, and the wide variety of procedures it offers. I love being able to treat and care for patients as early as in the womb, as late as at death, and everywhere in between. I chose to be a part of the Family Medicine Residency of Idaho because of the program’s long history of consistently training strong, competent physicians, and because of my great desire to practice here in my home state. The faculty members and leaders are dedicated, friendly, fun, and knowledgeable. 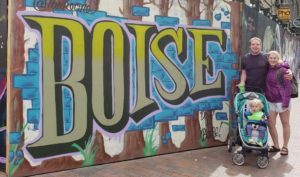 My family and I have greatly enjoyed the active city of Boise. My hobbies include fly-fishing, archery hunting, basketball and golf. I also enjoy playing the piano and guitar. Things that are important to me are my LDS faith, and my beautiful wife and two young, rambunctious daughters. Elynn was born in Bozeman, MT and spent her early childhood in remote mining towns across Idaho and Montana—the one-room school that housed her kindergarten class even had a hitching post out front. Her family’s last relocation brought them to Caldwell, ID where Elynn graduated from Vallivue High School and The College of Idaho. At C of I, she met her husband, Dominic, while they were both running for the Yotes Cross Country and Track & Field teams. 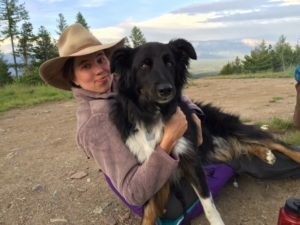 Circling back to her small-town roots, she spent a few of her summers during college working at the Delamar Gold & Silver Mine outside Jordan Valley, OR, before finding her way to medicine as a pre-med intern at the Salmon River Clinic in Stanley, ID. Elynn attended medical school at The University of Utah School of Medicine. Although she enjoyed her time among the red rocks of Utah, she is excited to be returning home to everything Idaho has to offer. Elynn is interested in Women’s Health and Obstetrics, Preventive Medicine, and in mentoring and promoting medical education for students from rural communities. 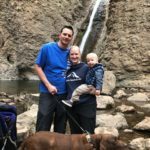 She also loves any and all outdoor activities, including hiking, skiing, rafting, and camping, and she and Dominic are looking forward to doing all of these and more in and around Boise. Kelly was raised in a small town in California in the Sierra Nevada mountains. From there she went on to major in health sciences, with an emphasis on pre-med and Spanish, at the University of California at Santa Cruz. During college she spent a life changing summer teaching and working in Ngong Hills, Kenya. This experience drove her decision to work in healthcare, and to help to improve the lives of underserved and underrepresented communities. After graduating college, Kelly was offered a job doing HIV vaccine research at Beth Israel Deaconess Medical Center which was of special interest to her after her time in Kenya. After three years in Boston, Kelly found that she missed the personal interactions with patients that initially drew her towards medicine and decided to apply to medical school. She attended Campbell University School of Osteopathic Medicine, and during that time was a student foundation board trustee for the North Carolina Academy of Family Physicians where she enjoyed being involved in influencing healthcare policy. Medical school is also where Kelly met Jeff, her amazing partner and co-resident at FMRI. 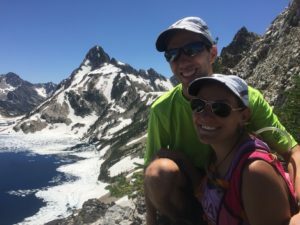 Wishing to return back West and be in the mountains, as well as both their desires for full-scope family medicine, Boise and FMRI were a perfect fit for Kelly and Jeff. 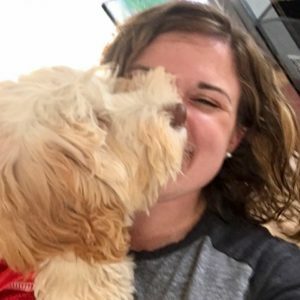 Kelly has a special interest in obstetrics, women’s health, and LGBT+ healthcare, and is interested in continuing to improve her Spanish while in residency. In her free time, she enjoys working on her house, hiking, biking, barre classes, eating all the good food, and exploring this awesome city with Jeff and their two pups. Facts: Ty worked as an ER scribe at St. Luke’s. He is married (wife, Amanda) with three kids. Hobbies and Interests: Ty enjoys spending time with wife and children, hiking, camping, boating, basketball and foosball. He also coaches his daughter’s Y-ball basketball team. I was raised in Albuquerque, NM and grew up loving the outdoors, going on family camping trips, skiing, and playing a lot of baseball and basketball. My interest in Family Medicine is rooted in my experiences before medical school working at a small medical clinic called Casa de Salud in the South Valley of Albuquerque. Here, I was inspired by Family Physicians who provided broad and holistic care to diverse patient populations with poor access to medical care, and I learned firsthand the critical importance of primary care. I was also involved with harm reduction work though the needle exchange program, working with patients addicted to opiates and developed an interest in addiction medicine. My experiences in medical school at UNM further fostered my interest in the broad scope of family medicine, from being able to provide care to infants, children, adults, and the elderly, and facilitating the development of long term patient relationships. My interests within family medicine include inpatient and outpatient care, addiction medicine, and performing procedures. FMRI is a great fit for me because of its broad spectrum training, strong inpatient focus, rural medicine exposure, and most importantly the incredible residents and faculty. Outside of medicine, I love traveling and exploring new places. During medical school, I traveled to Kenya for a research project and to India for a fourth year elective rotation, and have spent some time studying Spanish and traveling in Argentina as well. I enjoy playing music (mostly piano and mandolin), and love anything outdoors, including, hiking, camping, backpacking, and skiing. I’m excited to be here in Boise and explore all that Idaho has to offer! I was raised in Las Vegas, Nevada where, amidst the busy city lifestyle, I was fortunate to grow up with loved ones who showed me the strength of family. Their support allowed me to pursue a career in medicine. I left Nevada to attend college in Orange, California where I met my wife Sheri. After college, I returned to my home state for medical training at the University of Nevada School of Medicine. While there, I was exposed to a spectrum of healthcare practice from small rural towns to large metropolitan areas. I chose family medicine because it gave me the greatest potential to serve my patients and have an impact on community health. I believe good health creates the strong foundation and ability to launch an individual towards their dreams and goals. Medicine gives me the opportunity to fulfill my professional passion for the sciences as well as my personal mission to create strong local communities that will make positive global changes. When I’m not working, I spend my time with my wife exploring all that Idaho has to offer. From great food and even better people, to endless outdoor recreation opportunities, we are always finding new ways to experience the Boise area to the fullest. Undergraduate Degree: B.S. Biological Sciences, Chapman University Medical School: University of Nevada School of Medicine. Outdoor recreation is an important part of the Boise lifestyle. The Boise River courses through the heart of town, bordered by the Greenbelt path. The Ridge to Rivers Trail System boasts over 85 miles of maintained trails for biking/hiking/running. Excellent nordic and downhill skiing can be experienced at Bogus Basin, just 18 miles from town. Additional skiing at Brundage Mountain, Tamarack Resort, and Sun Valley is less than three hours away. Hiking, camping, and backcountry skiing are popular in the nearby Sawtooth, White Cloud, Smoky, and Boulder Mountains. Kayaking, rafting and fishing opportunities also abound with the city in close proximity to the Boise, Payette, Salmon, and Snake Rivers. 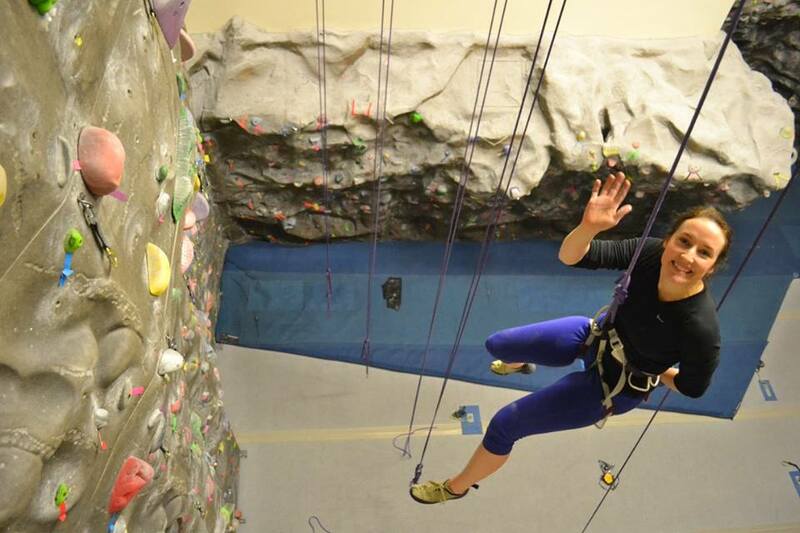 Rock-climbing and mountaineering opportunities await at the City of Rocks and Sawtooths. The application process allows the faculty and residents of the Family Medicine Residency of Idaho to thoroughly review each applicant’s credentials prior to extending an invitation to interview. Applications will only be accepted through the ERAS system. Interviews will be scheduled during the fall/winter. The interview allows the applicant an opportunity to discuss the program with the faculty and residents, meet with staff members and examine the facilities and hospitals. Spouse or significant other are encouraged to participate in the interview day, including a spouse-hosted lunch and informal dinner hosted by our residents and faculty. Arrangements for them to meet the spouses of current residents will be made. A short tour of Boise is scheduled on the drive to each hospital for the hospital tours. Deadline for receiving applications is November 1. After all applicants have been interviewed, the faculty and residents rank applicants in order of preference and submit the list of names to the National Resident Matching Program. Only ERAS applications are accepted: applicant must contact their medical school. Our deadline is November 1. Must have a USMLE score of 210 and have not failed USMLE step 1 more than once and no failed attempts on USMLE step 2. COMLEX minimum score of 500. Foreign medical graduates must have completed USMLE step 2. Applicant must not be more than two years out of medical school. Three letters of recommendation are required. One must be a letter from a Family Medicine physician they have worked. Foreign applicants must be fluent in both written and oral English. Our Residency does not support or sponsor VISA’s of any kind. Foreign applicants must have US clinical experienced and have a letter of recommendation from a US family physician that they have worked with. If Foreign Medical Graduate, please contact the Idaho State Board of Medicine to make sure your medical school is an approved school for licensure in Idaho, (208) 327-7000. If not approved, we cannot accept your application. For more than 100 years, St. Luke’s Boise Medical Center has been committed to serving the needs of a growing region. Founded in 1902 as a six-bed frontier hospital, St. Luke’s Boise is now Idaho’s largest health care provider, and the flagship hospital of St. Luke’s Health System. St. Luke’s Boise is known for its centers of excellence in cancer, heart, and women’s and children’s care. Among our many services, we are home to St. Luke’s Heart, St. Luke’s Mountain States Tumor Institute’s largest clinic, St. Luke’s Center for Minimally Invasive Surgery, and St. Luke’s Children’s Hospital, the only children’s hospital in Idaho. Known for its clinical excellence, St. Luke’s Boise has been nationally recognized for quality and patient safety, and is proud to be designated a Magnet hospital, the gold standard for nursing care. Saint Alphonsus Regional Medical Center in Boise, Idaho, is part of Saint Alphonsus Health System. With four hospitals and a variety of medical clinics, we serve the full range of the healthcare and wellness needs of the people in southwestern Idaho, eastern Oregon and northern Nevada. Saint Alphonsus is dedicated to delivering advanced medical services in a spiritual, healing environment throughout southwest Idaho, eastern Oregon and northern Nevada. Through innovative technologies, compassionate staff and warm, healing environments, Saint Alphonsus strives to provide care that is focused on patients. Founded in 1894 by the Sisters of the Holy Cross, Saint Alphonsus was the first hospital established in Boise—bringing healthcare to the poor and underserved. Now referred to as Saint Alphonsus Regional Medical Center, our licensed medical-surgical/acute care 381 bed facility serves as the center for advanced medicine and is poised to support the community well into the future. Boise VAMC, with 87 active beds, provides general medical and surgical services to veterans. The hospital includes an inpatient medicine unit, a small psychiatric inpatient unit, and an outpatient health clinic. The VAMC also sponsors fellowships in geriatrics, pulmonary medicine, and infectious diseases. They also have an outstanding research program. First year residents from FMRI rotate for 2 months on the inpatient internal medicine services, supervised by second year internal medicine residents from the University of Washington. St. Luke’s Meridian has been meeting the needs of west Ada County families since 2001. From nationally-recognized nursing to state-of-the-art technology, you’ll find the high quality, compassionate care that’s been the hallmark of St. Luke’s for more than 100 years. Conveniently located in the population center of our valley, St. Luke’s Meridian is a Magnet-designated hospital—the gold standard for nursing excellence. We’re home to Idaho’s busiest emergency department and offer advanced inpatient and outpatient surgery, mother-baby services, diagnostics from x-ray to MRI, state-of-the-art cancer treatment, critical care, a chest pain center, and more. The campus also includes a wide range of primary and specialty physician clinics and Idaho’s largest and most comprehensive cardiac rehab center. Boise has a sophisticated medical community with over 700 physicians. All of the medical, surgical, and surgical subspecialties are represented. Boise is the referral center for one-half million people in an area of approximately 10,000 square miles. This clinic is the “mother ship”. It has been the home location of our residency since 1983. It is located within easy walking distance of St. Alphonsus Hospital where we see the majority of our adult inpatients. We empanel our interns here and keep 5 upper levels in each class at this site. Raymond is divided into three clinical teams by hallway as part of our PCMH initiative. Patient mix is broad with multiple refugee groups represented. This is a good site if you desire a larger clinic and close proximity to residency activities – residency administration is located here and most didactics occur downstairs in this clinic. Procedural support is strong at this clinic and it houses many specialty clinics including sports medicine with our fellow, rheumatology, and dermatology. All our colonoscopies and EGDs are done here. This is our oldest clinic so the building is not as nice as the other choices on this list. Significant remodel effort took place last year to update the endoscopy suite and west side waiting room. Attending support is a mix of core residency faculty and part-time community preceptors. Dedicated resident space is available downstairs next to the conference center. Clinic work space is provided for residents in each team hallway. This clinic offers a vibrant mix of patients and learning options. Faculty: Edwards (Clinic Director and Team C Lead), Bastian (Team A Lead, Rich (Team B Lead), DeBlieck, Glass, Williams, T Palmer, Allen, Atnip, W Gerrish, Martin, Shackelford. The Fort St Clinic is the 2nd oldest clinic at FMRI. It is located in downtown Boise, across the street from St. Luke’s Hospital where we do most of our obstetrics and pediatrics. We have empaneled residents here since 2010. The patient mix is broad, but has more emphasis on pediatrics, obstetrics and women’s health. In addition to the continuity clinics here, a dedicated OB clinic occurs on Mon and Fri mornings and a peds clinic each day (afternoons except Thursday morning). All FMRI residents spend time in these clinics. Our obstetrical and pediatric faculty offices are located at Fort. Our OB fellow is based here. Four family medicine faculty see their continuity clinics at Fort and do the majority of resident precepting, but you will get to work with all faculty. Residents have their own work space with desks and computers. Fort St. has the feel of a small private practice clinic. The single team model pushes residents to learn how to interact with multidisciplinary colleagues and fosters development of leadership skills. Due to hospital expansion at St. Luke’s we will be relocating several blocks away to the corner of Idaho and 4th. This move will occur most likely in June 2019. Our Emerald clinic is located across Raymond St from our Raymond clinic. It is our newest clinic site, opening September 2010 and relocating to current location in July 2016. Currently it houses our Wellness Center (concentrating in HIV care), Refugee Screening Clinic, Idaho Health District TB Clinic, Hepatitis C Clinic, as well as faculty and resident Family Medicine clinics. Residents have been empaneled here since 2013. Residents will be exposed to a broad mix of general family medicine, as well as refugee health and infectious disease. Interested residents will usually be scheduled longitudinally in the HIV clinic and will carry a small continuity panel of HIV+ patients throughout their last 24 months of training. Continuity OB and pediatrics will be part of the clinic experience. Emerald Clinic additionally houses our pharmacy which opened summer 2013. Emerald is a smaller clinic then Raymond with 14 clinical exam rooms. Precepting is mainly be done by family medicine faculty who see their own patients here. We are a very intimate, collegial group who greatly enjoys working with each other and are often found roaming the halls obtaining consults from each other and our specialist colleagues. Residents have a dedicated resident room that is centrally located among the exam rooms. Billing, scheduling, medical records and ancillary administrative services are housed just across the waiting room from the clinic space. FMHC Meridian opened in 2010 and relocated to the present site in 2012. It is located less than 8 miles from Boise and 1mile from St. Luke’s Meridian Hospital. This clinic has 12 exam rooms, a procedure room, a dedicated resident office space and a conference room. We have placed senior residents here since 2013. The patient population is varied and comes from both suburban (Meridian / Nampa area) and outlying rural towns. Our Spanish speaking population is growing thanks to the work of our Promotora (community health worker) staff. We have a core Meridian OB patient panel that desires delivery at St. Luke’s Meridian giving residents an additional source of OB volume. Our pediatric volume is high due to the demographics of the location in addition to the presence of a pediatrician on our staff. Procedures are abundant and the clinic faculty embraces teaching. We have an ultrasound machine and a colposcope. The Meridian clinic offers residents the opportunity to practice on a single multidisciplinary team. We anticipate significant future growth in Meridian and Nampa and see this clinic as the center of our westward expansion efforts. Community Ada County Medical Society (ACMS) is a local group who provides various opportunities to connect with the greater medical community and beyond. Click here for education and recreational opportunities. Recreation Outdoor recreation is an important part of the Boise lifestyle. The Boise River courses through the heart of the city and is bordered by the Greenbelt bike and walking path that runs from Lucky Peak Reservoir to Eagle Island State Park. Boise was voted the “#1 mountain biking town” by Bike and Mountain Bike magazines. The Ridge to Rivers Trail System boasts over 85 miles of maintained trails for walking and riding. Excellent nordic and downhill skiing can be experienced at Bogus Basin, just 18 miles from the center of town and very popular with the locals for its inexpensive season pass (under $250). Additional skiing at Brundage Mountain, Tamarack Resort, and Sun Valley is less than three hours away. 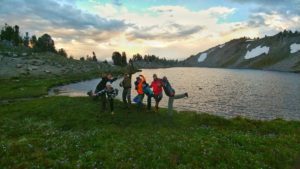 Hiking, camping, and backcountry skiing are popular in the nearby Sawtooth, White Cloud, Smoky, and Boulder Mountains Kayaking, rafting and fishing opportunities also abound with the city in close proximity to the Boise, Payette, Salmon, and Snake Rivers. Idaho in general has many premier whitewater rafting and kayaking river systems, with the Payette River system less than one hour from town. The Payette offers everything from beginner runs to Class 5 whitewater. The several forks of world famous Salmon River and the Hell’s Canyon section of the Snake River are popular for multi-day trips, as are the stunning desert gorges of the Bruneau, Jarbridge and Owyhee Rivers south of Boise. Rock-climbing enthusiasts can easily access the local basalt crag known as the Black Cliffs just east of town. Amazing granite routes in the City of Rocks and the Sawtooth Mountains are both less than four hours by car. 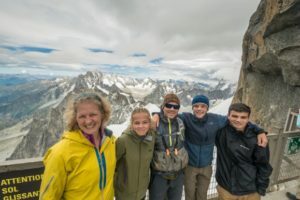 Mountaineering opportunities also abound in the state, with many excellent routes in the Seven Devils, Sawtooths, White Clouds, Boulders, and Lost River ranges, to name a few. But you don't need to leave town to find something fun to do. Boise has a vital city center that offers musical entertainment, theatre, opera, good food and shopping. Tubing the cool Boise River during the hot summer months is a popular pastime. The extensive park system, including the Boise Greenbelt, is home to multiple city sports leagues and festivals. The parks and river provide refuge without ever leaving the city. Abby Davids, MD, MPH, Margaret Mortimer, MSN, et al. (2018, December 14). Unresolved Splenomegaly in Recently Resettled Congolese Refugees — Multiple States, 2015–2018. Center for Disease Control and Prevention. MMWR. Morbidity and Mortality Weekly Reports. Retrieved from: https://www.cdc.gov/mmwr/volumes/67/wr/mm6749a2.htm?s_cid=mm6749a2_w. Brown, P, et. al. (2018, November 26). Evaluation of Food Insecurity in Adults and Children With Cystic Fibrosis: Community Case Study. Front. Public Health. https://doi.org/10.3389/fpubh.2018.00348. Mayer-Hamblett N, Brown P, et. al. (2018, November 1). Azithromycin for Early Pseudomonas Infection in Cystic Fibrosis: The OPIMIZE Randomized Trial. American Journal of Respiratory and Critical Care Medicine. 1;198(9):1177-1187. https://doi.org/10.1164/rccm.201802-0215OC. Freedman SD, Brown P, et. al. (2018, October). Absorption and Safety with Sustained Use of RELiZORB Evaluation (ASSURE) Study in Patients with Cystic Fibrosis Receiving Enteral Feeding. Journal of Pediatric Gastroenterology and Nutrition. 67(4):527-532. https://doi.org/10.1097/MPG.0000000000002110. Society for Teachers of Family Medicine Annual Spring Conference, held May 5-9 in Washington, D.C.
Boise Program Director Justin Glass, Nampa Program Director Kim Stutzman, faculty member Sandy Mudge, and fellow Jaclyn Cooperrider, presented a lecture discussion entitled “Game On: Solving the Puzzle of Resident Education Using Continuity Panels.” They offered insights and experience with the re-work of FMRI’s didactic structure to include registry management time paired with core outpatient topics. Director of Behavioral Sciences, Research and Grants Winslow Gerrish led a pre-conference workshop on Medical Improv titled “‘Yes, And’ for My Learners: Using Medical Improve to Grow Creative and Professional Physician Communicators,” collaborating with colleagues from several different locations across the country. We feel strongly about preparing you for inpatient medicine. We give you two blocks of experience on a VA internal medicine team in the intern year. But the core of our experience is on a busy inpatient family medicine service at St. Alphonsus. You will do 2 blocks here in your R1 year, 3 in the R2 year and 2 in your R3 year. Our senior residents run this service. We take care of a good mix of acuity and you will be in and out of the open ICU through all 3 years. We do give you an additional two weeks of ICU time in your R2 year to build your skill set working 1:1 with our critical care docs. Our patient population is underserved and you will see a great mix of pathology. Our consultants (pulm-critical care, cardiology, GI, nephrologists, and a variety of surgeons) are dedicated teachers. Megan McInerney (critical care) was elected the consultant of the year in 2016-2017. You will spend eight weeks on pediatrics in your R1 year. This will be split between newborn nursery and pediatric hospitalist rotations with supervision from pediatric and FM faculty. In your R2 year, you will do 2 weeks of NICU and 2 weeks of pediatric hospitalist. In your R3 year, you will do 2-4 weeks of pediatric hospitalist as well as 2 weeks of pediatric ER experience. In addition, throughout your MCH (OB) rotations you will do nighttime peds admissions. Consistent exposure to peds inpt care throughout residency will help prepare you for rural practice. Our outpatient curriculum is built around our own pediatric focused clinics in Boise, Meridian and Nampa as well as pediatric subspecialty clinic time in Boise. This is also spread across all three years. We provide a rich obstetrical training environment for our residents. We provide full-time or part-time L&D coverage at four local hospitals – St. Luke’s Boise, St. Luke’s Meridian, St. Alphonsus Boise and St. Alphonsus Nampa. Our core maternal child health team is based out of St. Luke’s Boise and you will take advantage of relationships with local obstetricians here around labor management and delivery. Additionally, our senior residents partner with the OB hospitalists and MFM consultant group to manage the high risk service. C-section experience is gained here with all three groups of obstetricians and interested residents will get foundational experience in primary c-sections. Our FQHC clinic system generates an average of 18-22 continuity deliveries per resident and you will manage these patients at one of the Boise / Meridian hospitals with a family medicine faculty doctor or a midwife. We partner with Terry Reilly family medicine doctors for vaginal deliveries and c-section experience in Nampa in the R1 year and on inpatient selectives in the R2 or R3 year. Two of our grads are doing c-sections at this hospital providing a model of FM with surgical OB here in the Treasure Valley. We are a RHEDI-funded resident training site. Residents have the opportunity to engage in full-spectrum women's health care training throughout their 3 years of residency. A one month gynecology rotation includes time spent with board-certified gynecologists who provide colposcopies, LEEPs, and other procedures at our Fort Street Clinic. The RHEDI grant also allows us to provide free IUDs (Mirena, Paragard, and Liletta) and Nexplanons to patients. Those who qualify for our sliding fee scale pay a nominal insertion fee. You will spend one month in the St. Luke’s ER as an R2 and one month in the Saint Alphonsus ER as an R3. The R2 rotation builds a foundation of ER medicine. The Saint Alphonsus R3 rotation is a Level 2 trauma center providing great preparation for rural practice. Most residents also spend significant time in the ER at rural sites throughout residency training. You will spend two weeks in the R1 year and four weeks in both the R2 and R3 year at rural sites in Idaho. You will work with our rural focused faculty and coordinator to select sites that fit your training goals. Sites offer a variety of combinations of clinic, ER and hospital experiences that will help you understand the breadth of rural medicine. Rural family physicians from 30 communities participate in our rural training so the offerings are extensive. Housing is provided at sites distant from Boise. Sites close to Boise allow residents with families to balance rural experience and the need to be home at night. Our largest clinic and training site now offers an Integrative Medicine Clinic, where a full time faculty member offers IM consults and treatments. Residents will have the opportunity to rotate through to learn about a variety of subjects including acupuncture, gua-sha (scraping), herbs/supplements, and mind-body medicine. In addition, we provide an annual Integrative Medicine half day, which is protected time for all residents to be exposed to the above subjects. Additional lectures and exposure available on request. We anticipate continued growth over the next few years in our Integrative Medicine curriculum and offerings for residents. FMRI provides training to perform all office-based and inpatient procedures needed to feel comfortable in a broad-spectrum practice. In 2018, we will be focusing on expanding our bedside ultrasound curriculum. See the list below for examples of the procedures we are performing at all training sites. POCUS Point of Care Ultrasound is a growing curriculum. Bedside based heart, lung, AAA screening, DVT exams, liver, gallbladder, skin mass/lipoma, access evaluation/cellulitis evaluation. IVC, kidney/bladder. FAST exams. Handheld ultrasound available for use on inpatient and bedside ultrasound available at all training sites. View pictures from the 2018 Wilderness Retreat. Here at FMRI, we acknowledge that many of our medical students, residents, faculty and graduates recreate throughout the state and seasons, so we feel it is important to develop proficiency in managing out of hospital emergencies. To achieve this goal we are incorporating Wilderness Medicine training into our curriculum. Currently, we have developed a 3 day course that is protected time during the R2 year at the remote and stunningly beautiful Burgdorf Hot Springs, near McCall, Idaho. This site is unique in that it is only accessible by snowmobile during the winter, is rustic yet comfortable with wood stove heated cabins and a large geothermal hot spring which we utilize both for water based training and relaxation. Our plan is to develop this course into a nationally recognized certification course such as AWLS (Advanced Wilderness Life Support) and to expand the curriculum to include a summer course as well. Behavioral Health training is at the core of our residency training program. We have integrated behavioral health faculty and LCSWs into our clinic system. This allows for warm handoffs around behavioral issues (mental health, substance abuse, motivational interviewing, etc). Our two behavioral health faculty spend time on rotation with all of our R1s and R2s to build foundational knowledge and clinical care skill sets. We additionally have psychiatry residents who do primary care based continuity clinics at our Raymond site with psychiatry faculty oversight. Formal psychiatry consult clinic occurs on Mondays. FMRI offers two away electives to interested residents – one in the R2 year and one in the R3 year. This allows time for a global health focused resident to explore two different sites. Although residents are free to set up their own electives, we also have a variety of sites in Central America, the Caribbean, and Africa that former residents have utilized and at which we can help facilitate rotations. We offer a $500 stipend per resident to support one such trip. In addition, we have extra funding for residents who are seeking to improve their Spanish language skills locally or internationally. FMRI grads tend to apply their skills broadly and internationally; we currently have four graduates working in Africa in government jobs or for faith based organizations. In addition to away electives, we have ample opportunities for residents to gain global health skills and knowledge right here at home. Boise has traditionally been one of the top five cities in the US for refugee resettlement per capita, and so we are fortunate to take care of patients with refugee status from Africa, Asia, and the Middle East. Our Emerald clinic does the bulk of this care, providing initial screening exams for all individuals with refugee status who are resettled to Boise, and then ongoing primary care for the majority of those individuals. Our Emerald clinic also houses our HIV, TB, and viral hepatitis subspecialty clinics. Interested residents can choose Emerald as their continuity clinic site, and can participate in our Global Medicine Training Track, led by Abby Davids and Margaret Mortimer. Through a longitudinal curriculum as well as electives and online modules, residents gain experience in the spectrum of infectious disease, chronic disease, cultural issues, and behavioral health care needs that are essential to provide comprehensive care for our global populations. Tied closely to our Global Medicine opportunities, residents at FMRI gain extra experience in infectious disease management. The Family Medicine Health Center Emerald Clinic houses the Wellness Center, a Ryan White funded HIV subspecialty clinic serving over 600 patients. All residents have basic exposure to the Wellness Center, and can do additional training either via elective rotations or by participating in our longitudinal curriculum and choosing Emerald as their continuity clinic site. Along with our HIV specialist faculty, our HIV & Viral Hepatitis Fellows are heavily involved in resident education. We provide all inpatient care for patients living with HIV on our family medicine service at St. Alphonsus, as well. We also train all residents in evaluating and providing patients with pre-exposure prophylaxis (PrEP) for HIV. The Emerald Clinic also houses our TB clinic, via a partnership we have with the Central District Health Department. Providing care for individuals with both active and latent TB, the TB clinic is another great experience for residents wishing to gain skills applicable at both home and abroad. Finally, as hepatitis C becomes an increasingly primary-care focused disease, we are working towards having all FMRI residents trained and comfortable in the management of chronic hepatitis C. Our hepatitis C clinic serves patients from both within the FMRI system and on a referral basis from other community providers. We are currently providing viral hepatitis care for prisoners via a partnership with the Idaho Department of Corrections, as well. All residents rotate through the hepatitis C clinic, and can gain extra experience via elective rotations. FMRI has an active curriculum in addiction medicine. All residents get training and certification in Buprenorphine/Suboxone prescribing and receive a waiver from the DEA. One of our family medicine faculty also has board certification in addiction medicine and our head of behavioral health has many years of experience working in addiction medicine. We have a well organized, multidisciplinary, best practice, screening clinic for all patients being considered for controlled substance prescriptions. Between this and a well organized Buprenorphine/Suboxone protocol, we believe that we provide a good model in the care of patients with chronic pain, anxiety, or substance use disorders that serves our patients well and leaves our graduates with a good framework that they can use in their practices. The Family Medicine Health Center follows the Centers for Disease Control Guideline for Prescribing Opioids. We try to use alternatives to opioid medications and, if opioids are needed, prescribe the lowest effective dosage. We do not prescribe chronic high dose opioid therapy for patients other than cancer and hospice patients. The Transgender Health Clinic at FMRI is housed at the Emerald Clinic and run by faculty physician Dr. Marvin Alviso. Dr. Alviso and nursing staff create an accepting atmosphere in offering health services for patients 8 years old and up. Services include gender affirming hormones, puberty blocker options and assistance in navigating transition needs. Currently an integrated part of Dr. Alviso’s regular clinic schedule, the Transgender Health Clinic will become a dedicated 3rd Tuesday session beginning in January 2018. This scheduling will allow residents and students to spend time in a focused transgender clinic to gain sub-specialty experience. You will have 3.5 blocks (or 14 weeks) of time during residency on elective training to further your specific learning goals. You can do electives away from Boise (internationally or in other US locations), as well as locally. You will have control over your elective experiences with guidance available on how to schedule and create experiences that will suit your needs. We also have several longitudinal elective opportunities that you can participate in over the course of residency. In addition to this, the three rural rotations give you the opportunity to select sites / preceptors that fit your interests. FMRI Boise will accept fourth-year medical students for Family Medicine in-patient sub-internship or out-patient rotations from any U.S. medical school on a space available basis after items 1-3 below have been received, reviewed and approved. FMRI Boise will accept fourth-year medical students from the University of Washington, Pacific Northwest University College of Osteopathic Medicine or the Idaho College of Osteopathic Medicine on a space available basis for Pediatric sub-internships after items 1-3 below have been received, reviewed and approved. Due to hospital credentialing, non-University of Washington, Pacific Northwest University, University of Utah or Idaho College of Osteopathic students applying for an inpatient, sub-internship rotation must first be approved by FMRI Boise and then apply through the University of Washington visiting student clinical elective program, VSLO. Please check the University of Washington rotation dates before applying. Requested rotation dates should fall within the rotation guidelines and ideally be for four weeks. Registration through VSLO should be started at least ten weeks prior to your desired rotation date and the final confirmation of your rotation from the University of Washington received at least four weeks prior to your rotation start date in order to be eligible to start your rotation. Non University of Washington medical students applying for an outpatient elective will not have to register through the VSLO. Part I of the USMLE or COMLEX exam scores. Copy of medical school transcripts. Completed copy of the Medical Student Questionnaire. Please note: A vehicle is required for this rotation and we do not provide housing for students completing fourth-year rotations and non-University of Washington third year students. Housing and transportation are your responsibility.